One of the best pieces of advice about writing I’ve ever received is to read, read a lot. The more you read the better your writing will be. My English teacher was first to offer up this gem. At the start of our exam year, he suggested we read newspapers (specifically broadsheets) so we’d be used to the language used in articles by the time our exams rolled around, but he also told us it would improve our own language skills and help us write better essays. The same applies to fiction. Reading from various genre exposes you to different narrative styles. You subconsciously pick up tips for pacing and character development. Reading is a great way to help you be better at creating meatier writing. But what can you do to improve the actual act of writing? Like many writers/bloggers/content creators, I’m always on the lookout for ways to streamline the process. 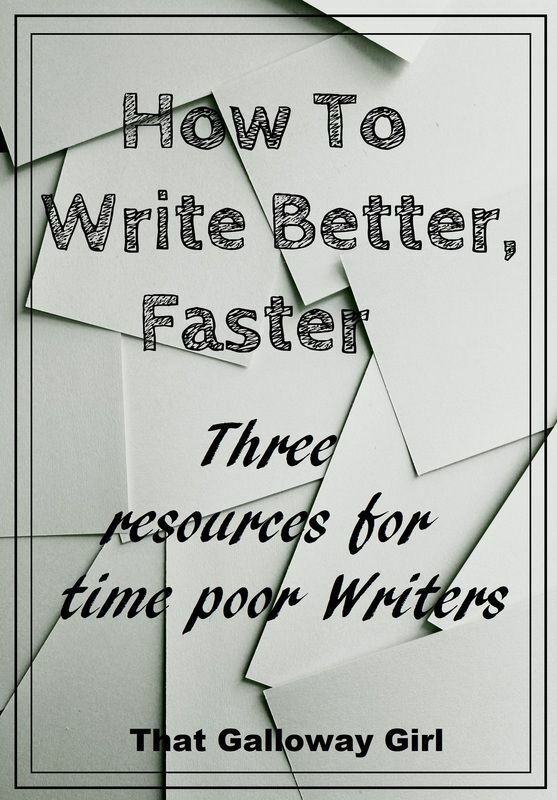 Ways to write better faster. Many books on writing share very little advice on the actual craft of writing and barely go beyond encouraging you to write daily. While that is a good place to start, and you should begin to write faster over time, the books I’m about to share with you go a bit deeper. Writers in the heyday of Pulp Fiction only earned money for work produced, so to put food on the table they had to complete a lot of novels and turn them out quickly. This book explores the planning process that went into those high output works and how to apply those techniques to your own projects. This is perfect for anyone with lots of ideas they want to follow through on but are worried by how long the process may take. It’s a book I reread often, particularly before I begin a new project so I have the advice fresh in my mind. This is also free to download for kindle. This is a collection of articles on writing. Each on a different aspect and offering great advice. The lead article (How To Write A Novella In 24 Hours) is an exercise in fast drafting. The concept of having an idea, creating the bare bones and sitting down to write it out in a day. Which is great if you’re already in the middle of a project and suddenly have a new idea, you can get all the important stuff down and tuck it away for when you have time to work on it. Sometimes it all comes down to time. Maybe you only have an hour or two a day that you can set aside for writing. Making the most of the time you have is important and this book shows you a few techniques to improve your focus and get more words on the page. This is helpful both for those of us short on time or looking to produce a hi volume of work. After reading these books I have seen a great improvement in my output. Both in quality and quantity. Not only am I making progress in my writing projects but I also able to produce a high volume of blog posts. As with any reference book I would recommend rereading them regularly. This will keep the information fresh in your mind and more motivated to keep your momentum going. If you’d like to recommend any great books on writing craft please share them in the comments!